Watch out, Kiwi bulls! 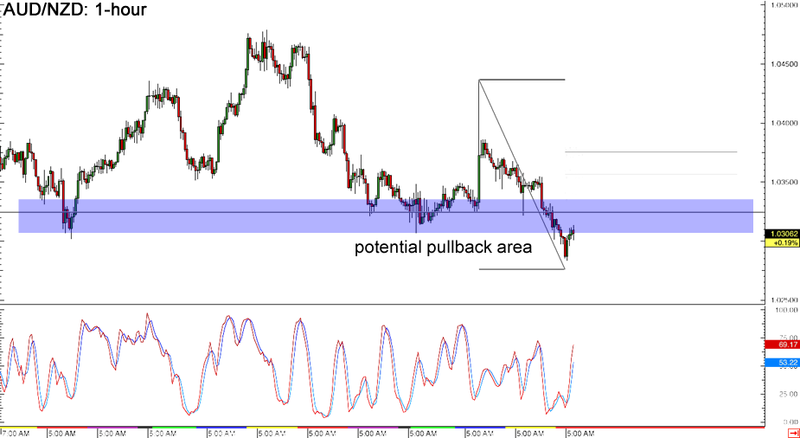 NZD/USD is nearing a long-term area of interest visible on its daily forex chart, and this might keep the pair’s gains in check. The 61.8% Fibonacci retracement level lines up with the broken support level around the .7700 major psychological level, which might hold as resistance. If that happens, NZD/USD could eventually make its way back down to the previous lows near the .7200 major psychological support. A strong break past .7700, on the other hand, could mean a move up to the next resistance at .7900. Here’s another potential retracement play, this time on a short-term time frame. AUD/NZD recently broke below a key support area around 1.03200, indicating that the pair is in for more losses. Before that happens though, price could still retest the broken support area, which is close to the 38.2% Fibonacci retracement level. Stochastic is still moving up anyway, which means that buyers are in control for now. 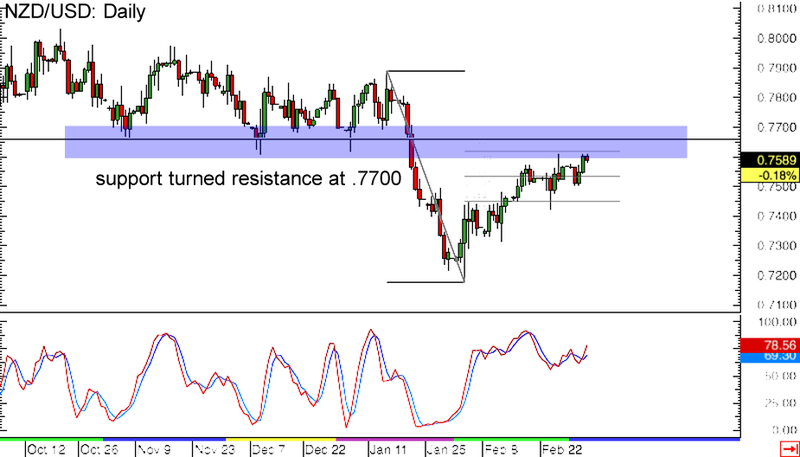 If the broken support holds as resistance, AUD/NZD could head back to its recent lows or perhaps create new ones. Looks like USD/CAD is still enjoying its stay inside the descending triangle pattern on its 1-hour forex chart! The pair just bounced off the top of the pattern and is headed back for the bottom around the 1.2400 major psychological support level. The question is, will the triangle bottom still hold as a floor for now? 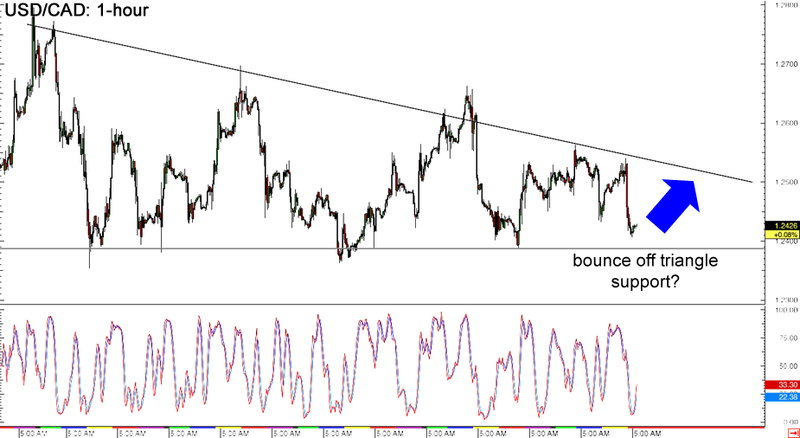 Stochastic is starting to climb out of the oversold area, confirming that a bounce is likely to take place. If that happens, another test of triangle resistance around the 1.2500 mark is in the cards. Just watch out for a potential breakout since the resulting move might last by roughly 400 pips!